For the next few weeks, I’ll be sailing down the East Coast. We’re starting inland at Lake Champlain and will first navigate a series of 20 locks to get out into the Hudson. 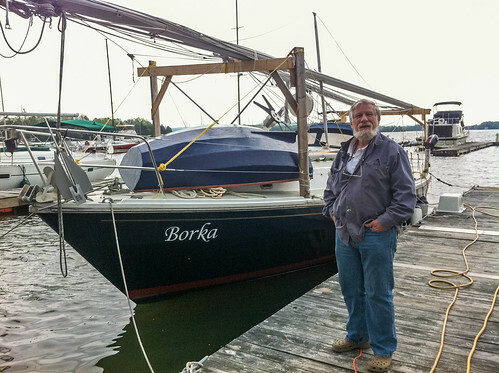 We’ll have our masts stepped up near New York City, where we’ll sail out the harbor, then back into Chesepeake Bay and into the intra-coastal water way … and then as far as we can get before time runs out. Tim Nulty is our captain. Crew is Louisa Bukiet and Lindsay (who was visiting Tim from England when he offered her to hop aboard) and me. You are currently reading Sailing Down the Hudson … and then some : Part I at Tolerable Insanity.